Looking for a picturesque escape in Wisconsin? Visit Point Cabin on the Wildcat chain. This unique property is surrounded by water on three sides – each room offers great lake views! 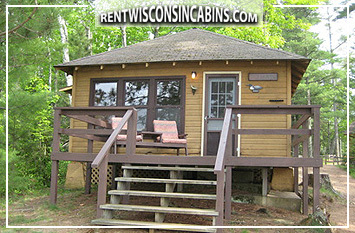 Point Cabin offers ultimate privacy and allows vacationers to enjoy all that the Northwoods has to offer. Relax on the deck, watch the loons, and listen to the birds chirping in the trees. This vacation cabin in Boulder Junction is near many restaurants, shops, and galleries. The cabin features three bedrooms and a fully equipped kitchen. This cabin is privately owned, but managed by a local resort. This allows vacationers to utilize the resorts amenities: beach area, canoes, kayaks, tennis courts, and other weekly activities. Whether you are looking for a private getaway, a family fun adventure, or something in between, Point Cabin is a great option. 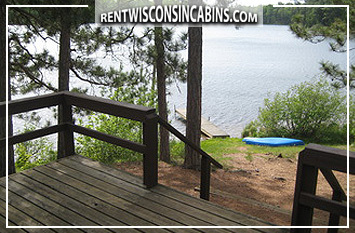 This entry was posted in Recently Added Rental Properties and tagged booking a vacation, cabins, canoe kayak, travel, vacation rentals, wisconsin. Bookmark the permalink.